Prince William’s Speech About Princess Diana Was Moving, But All The Internet Keeps Talking About Is That He Called Charlotte “Ladylike"
You kind of have to feel for Wills. Yesterday, Prince William gave a moving tribute to his mother at a charity event for the 21st anniversary of Child Bereavement UK. But all anyone can talk about is something else he said that day. While at the opening archives at St. John's College, Prince William called his daughter, Princess Charlotte, "ladylike." All of Twitter (and even some major publications) have had some very big problems with the Duke of Cambridge's particular choice of words, saying that he's reinforcing gender stereotypes. But was is comment really worth attacking? While giving his speech, Prince William talked about the pain of losing his mother, the late Princess Diana, and how important charities like CBUK are in helping children. He said of his mother, who supported the charity from the beginning, "What my mother recognized back then and what I understand now, is that grief is the most painful experience that any child or parent can endure." It's so rare to hear a member of the Royal Family speak so openly about Princess Diana. But it's much more fun to be mad at someone right? It makes for a more interesting afternoon on Twitter, at least. You could argue this was a no-win situation Wills landed himself in. If he hadn't called Prince George "lively" right before, it might not have even seemed so scandalous. But today it seems like all of Twitter has been pointing out that by calling Charlotte a "lady" — and letting George be the "rowdy" one —the Prince was being downright sexist. But let's just hash this one out for a second: Of course it's true that a five-month old can't really have the grown-up, pristine manners of a Dowager Countess. At five months, she's still mastering her crawling skills and dribbling her smashed carrots at the dinner table. How can having your diaper changed ever be ladylike? And better yet, what does it even mean to "act like a lady," anyway? It might be a safe bet to say that Prince William didn't mean it like that, guys. Everyone just take a deep breath. What he probably meant, and when you contrast it against the "lively" description he gave his son, is that Charlotte's the quiet one and George is the one running around, tearing up ballrooms. A lot of sibling duos are opposites. My own brother was sweet as pie and slept through every long car ride. I, on the other hand, was pretty lively and managed to singlehandedly ruin family vacations (that's their story, at least). If anything, Prince William's comments were pretty tactful. 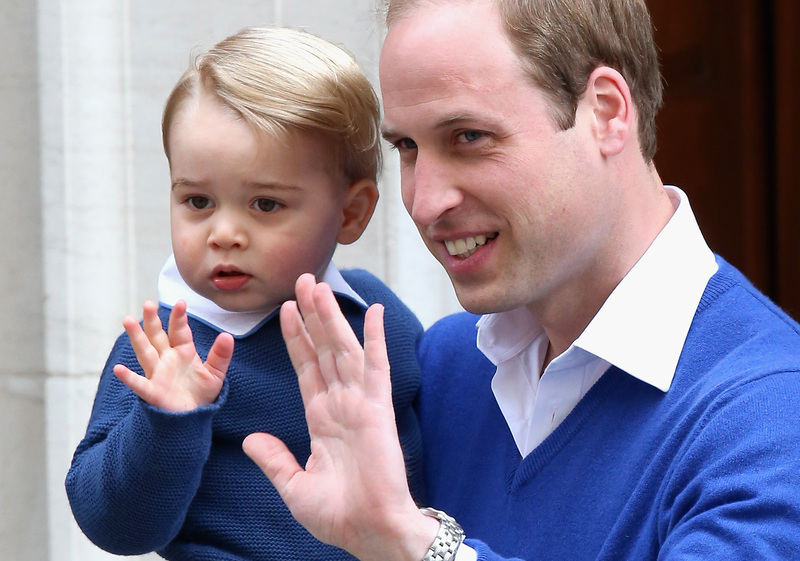 What he may have really wanted to say was, "Prince George is driving us mad." And if so, I feel his pain. It's not about putting Charlotte in the corner. It could just honestly be a slightly nicer way of saying George is noisy and no one's slept in ages. I mean, can we just look at how intense this moment from Charlotte's christening was? The word "lady" is a little more loaded in England, especially within royal family, which is steeped in history and tradition. Hearing a modern prince suggest his daughter acts like a "lady" (with perhaps a veiled implication that somehow, she should) can sound a little throwback-ish to the dark ages. But let's not forget Wills also called George a little monkey. Are we really going to hound him for body shaming his boy? Gender stereotypes are a tricky thing to meander around, especially since our cultural vocabulary is so loaded with them. But why is being "ladylike" even such a bad thing? Some girls are naturally prim, maybe a little shy, and yes, happen to like ribbons and pink. That doesn't mean they can't be awesome, badass feminists, too. And it's certainly impossible for any of us to know what Charlotte will be like, lady or not. So everyone just take a Twitter chill pill.